Geraldo Rivera got into a shouting match on Monday night after defending violent illegal aliens on Hannity. Sean Hannity had just interviewed the parents 22-year-old Pierce Kennedy Corcoran of Knoxville, Tennesse who was killed by an illegal alien last week. On Saturday night 22yo Pierce Kennedy Corcoran of Knoxville, Tenn was killed in a deadly crash. Geraldo immediately started defending violent illegal aliens. 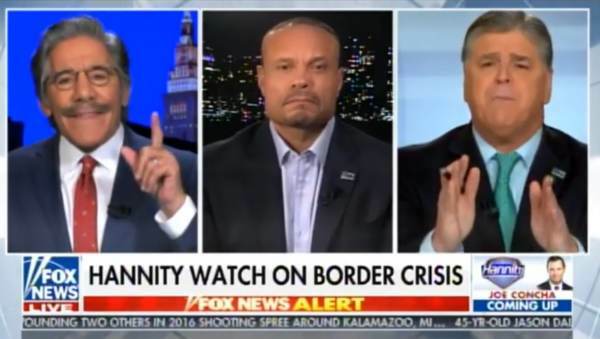 That’s when Sean Hannity and Dan Bongino EXPLODED! Geraldo accused them of playing politics.